Baltimore County Public Schools students earned an amazing 778 regional 2018 Scholastic Art & Writing Awards. This awards program is among the most prestigious high school arts recognition programs in the nation. BCPS students from 12 high schools and 3 middle schools earned a total of 193 Gold Keys, 256 Silver Keys, and 329 Honorable Mentions. Students earning recognition represent Catonsville, Dulaney, Eastern Tech, Franklin, George Washington Carver Center, Hereford, Overlea, Patapsco, Perry Hall, Sparrows Point, Towson, and Western Tech high schools, and Parkville, Perry Hall, and Sudbrook Magnet middle schools. The 655 visual art awards BCPS students received is a new record for the school system and represents about 15 percent of the visual arts awards presented for the entire eastern region. The number of visual arts awards BCPS receives has grown for the past several years from 330 in 2015 to 483 in 2016, and 536 in 2017 – to 655 in 2018. 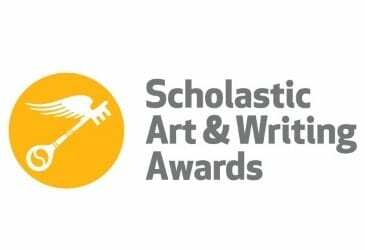 The Scholastic Art & Writing Awards, sponsored by the Alliance for Young Artists & Writers, began in 1923 to honor talented writers and artists in Grades 7 – 12. Of those works reviewed by professionals in visual and literary arts, students earned Honorable Mention, Silver Keys, or Gold Keys in regional adjudication. Works designated as Gold Keys are currently receiving a national-level review; the national awards will be released to student artists and writers later this spring. Since its founding, the Awards program has identified the early promise of some of our nation’s most exceptional visionaries. Alumni include artists Andy Warhol, Philip Pearlstein, and Cy Twombly; writers Sylvia Plath, Truman Capote, Ned Vizzini, and Joyce Carol Oates; photographer Richard Avedon; actors Frances Farmer, Robert Redford, Alan Arkin, Lena Dunham, and John Lithgow; fashion designer Zac Posen; and filmmakers Stan Brakhage, Richard Linklater, and Ken Burns. Lists of all BCPS students who received Scholastic Awards in visual arts and writing can be found online. Also online are searchable lists of all visual arts and all writing regional awards presented.